Paper Monument Poster #044: John Thompson was an exoneree, a death-penalty abolitionist, an orator, and an idealist. The injustice he suffered was a New Orleans story, but John Thompson became a national icon whose name now stands for the impunity with which prosecutors may disregard the life and rights of a young Black man. John Thompson had a sharp wit and irreverent humor. John Thompson was a proud New Orleanian who cursed the dysfunction of his city every day. John Thompson loved his wife, his family, and his friends. John Thompson was an exoneree, a death-penalty abolitionist, an orator, and an idealist. The injustice he suffered was a New Orleans story, but John Thompson became a national icon whose name now stands for the impunity with which prosecutors may disregard the life and rights of a young Black man. John was wrongly arrested for an armed robbery and unrelated murder in 1984. Prosecutors intentionally hid all the evidence that he was innocent of both, including blood evidence showing he was not the armed robber, at his trials. He was promptly convicted and sentenced to death in 1985. Arriving at Angola Prison, he was put in the cell of a man who’d been executed days before; the man’s possessions were still there. In the summer of 1985, Louisiana had executed eight men at Angola. John knew 12 more men who were executed there. In 1999, less than a month before his execution date (scheduled the day before his eldest son was to graduate high school), a defense investigator found the blood evidence that proved him innocent of the robbery. The armed robbery conviction was thrown out and he was taken off death row. Then, in 2002, the murder conviction was thrown out. At his retrial in 2003, a New Orleans jury took 35 minutes to acquit him of the murder for which he had almost been executed. He walked out of the courtroom at Tulane Avenue and Broad Street and began a life of hard, often thankless, work of helping others returning from prison. John became a tireless advocate, social worker and mentor. 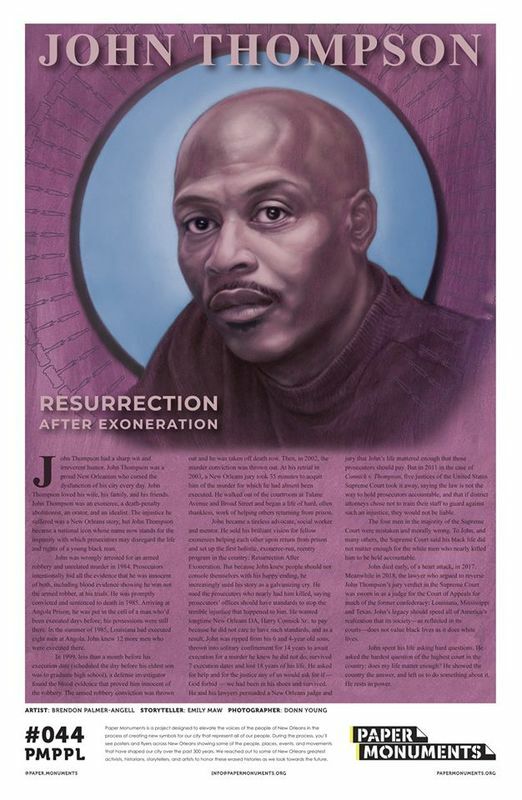 He sold his brilliant vision for fellow exonerees helping each other upon return from prison and set up the first holistic, exoneree-run, reentry program in the country: Resurrection After Exoneration. But because John knew people should not console themselves with his happy ending, he increasingly used his story as a galvanizing cry. He sued the prosecutors who nearly had him killed, saying prosecutors’ offices should have standards to stop the terrible injustice that happened to him. He wanted longtime New Orleans DA, Harry Connick Sr., to pay because he did not care to have such standards, and as a result, John was ripped from his 6 and 4-year old sons, thrown into solitary confinement for 14 years to await execution for a murder he knew he did not do, survived 7 execution dates and lost 18 years of his life. He asked for help and for the justice any of us would ask for if — God forbid — we had been in his shoes and survived. He and his lawyers persuaded a New Orleans judge and jury that John’s life mattered enough that those prosecutors should pay. But in 2011 in the case of Connick v. Thompson, five justices of the United States Supreme Court took it away, saying the law is not the way to hold prosecutors accountable, and that if district attorneys chose not to train their staff to guard against such an injustice, they would not be liable. The four men in the majority of the Supreme Court were mistaken and morally wrong. To John, and many others, the Supreme Court said his Black life did not matter enough for the White men who nearly killed him to be held accountable. John died early of a heart attack in 2017. Meanwhile in 2018, the lawyer who argued to reverse John Thompson’s jury verdict in the Supreme Court was sworn in as a judge for the Court of Appeals for much of the former confederacy: Louisiana, Mississippi and Texas. John’s legacy should speed all of America’s realization that its society—as reflected in its courts—does not value Black lives as it does White lives. John spent his life asking hard questions. He asked the hardest question of the highest court in the country: does my life matter enough? He showed the country the answer, and left us to do something about it. He rests in power. 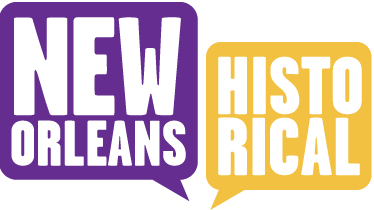 Paper Monuments et al., “John Thompson: Resurrection After Exoneration,” New Orleans Historical, accessed April 19, 2019, https://neworleanshistorical.org/items/show/1444.